Location Mudbeck Side, some 850 NE of Crooks of |Beck Bridge and 50m west of the stone ring (see previous record). Geology Eratic slab of sandstone. Drift. 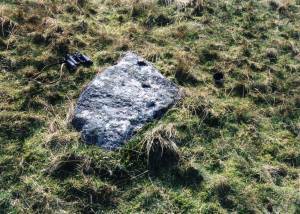 Record Name Cup marked rock near Mudbeck Stone Ring. Record Description Thin slab of sandstone (1.0m*.5m) with three aligned cup marks in turf approximately 70m WNW of the standing stone ring (ARK04). See photos. Additional Notes This cup marked slab is of interest in that it is located close to the Mud Beck standing stone ring. One of the standing stones of this ring possesses a single cup mark facing inward. The inference may be that the cup marked slabs were cup marked before the stones of the circle were erected to mark the place where the traveller from the south and east through Arkendale first sees the escarpment which overlooks the Vale of Eden five km to the NW across Stainmore. Alternately, the slab is similar in size to those of the circle and may be one of the stones missing that has been removed. References: Unpublished. Not noticed when the stone ring was surveyed with Archie Thom. Image 1 Description Cup marked slab near Mudbeck Stone Circle. 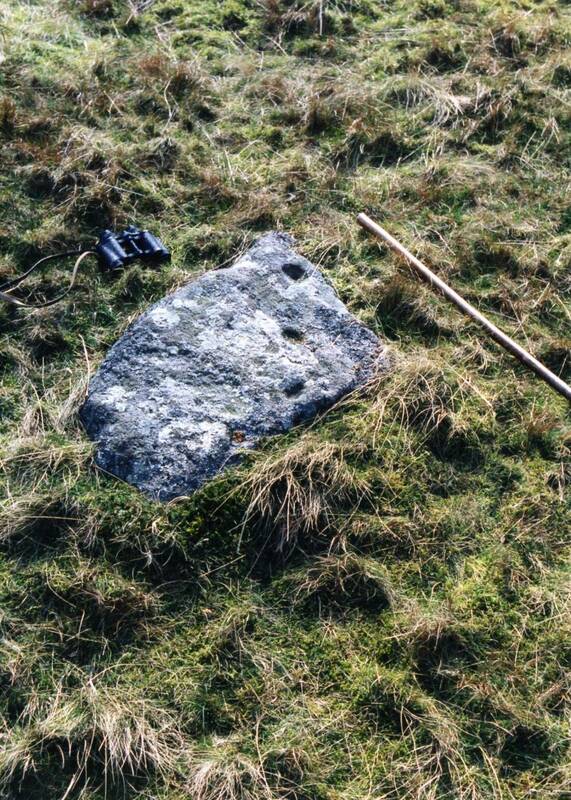 Image 2 Description Cup marked slab near Mudbeck Stone Circle.